This is an eco-tour and wild animals exploration in Lijiang. During this tour, we will explore the beautiful scenery of Laojun Mountain in Lijiang which is located between Jinsha-Yangtze River and Lancang-Mekong River in the Three Parallel River Area, the landscape here is very beautiful and has virtually been untouched by any urban development. This mountain is featured by the wild snub-nosed monkeys, birds and different plants including spruce trees, fir, pine trees, camellia, orchid and so on. Marveled at the World’s Natural Heritage Site – Laojun Mountain. 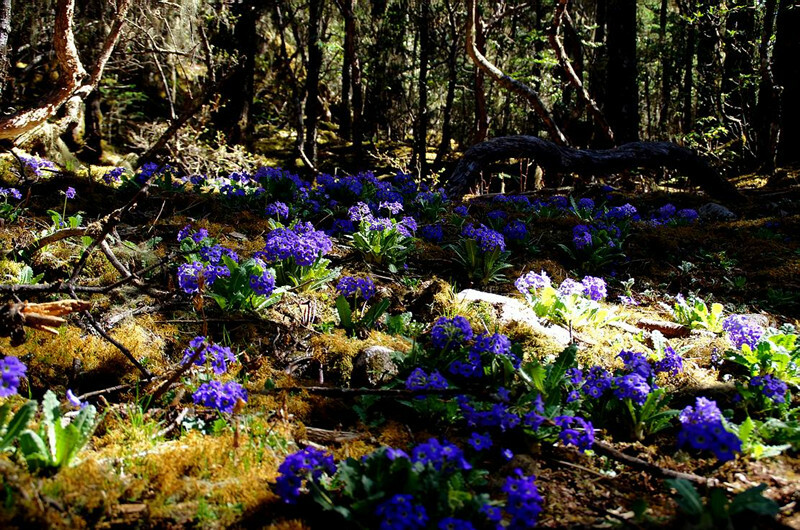 Explore the original ecology scenery of Lijiang. From Lijiang, drive about 4 hours to Laojun Mountain. On the way, visit Lashi Lake and Naxi/Bai villages. 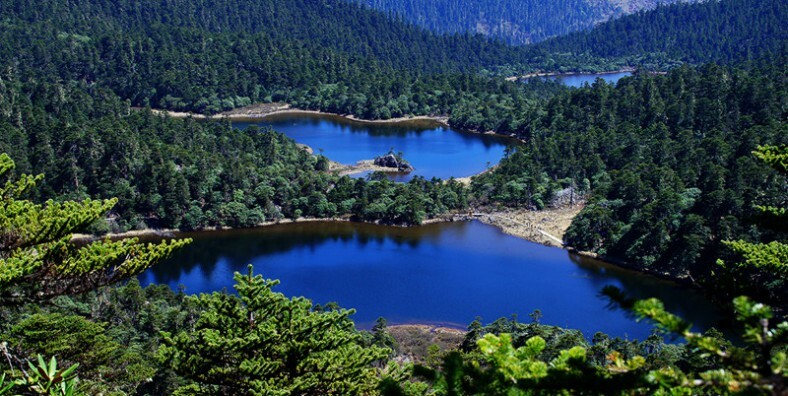 After lunch, hike for about 4 hours to visit the forests and high plateau lakes, you will visit the 99 Dragon Pools in Laojun Mountain, then drive back to Lijiang. – Laojunshan Mountaion area has been part of the Three Parallel Rivers Region , which was designated as World’s Natural Heritage Site by UNESCO. This mountain region is also diverse in minority groups such as Lisu, Naxi, Pumi , Bai, Yi, etc. May, June and July are good seasons to see wild flowers like rhododendrons in thise mountain area. 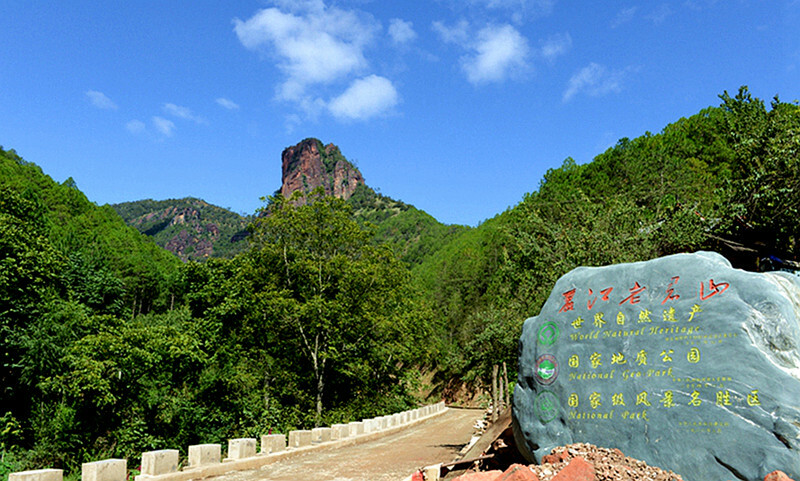 The Laojun Mountain goes hundreds of miles in the area with the highest peak of 4240 meters. The special location and complete eco-environment make the mountain hide in fogs all year long which seems quite mysterious. This is the best place for wisdom and souls of the human and let everyone believe that all the most beautiful and amazing phenomena will be genuine here. Transfer to hotel. Service ends.